Nature has created predators, conquerors. And even a pet has nothing to do with instincts. In turn, the owners of this peculiarity of cat behavior cause a lot of trouble and may even result in parting with a beloved animal. To avoid this, you have to outwit the animal instinct of a cat. In cats acutely developed natural leadership instinct. Primarily, this is reflected in the fact that the eldest and most important individual observes the area with his scent. Before it, other cats will know about the local "Marquis of Carabas". Being in the apartment surrounded by universal affection, and helpfulness of the owners, the cat is definitely starting to feel the leader of the territory. The apartment he perceives their possessions, and themselves as absolute authority. Often, this leads to the appearance of the labels. And, if kittens, this problem can be quickly eliminated with castration, for adults this option is not working. Also include repair, remodeling, and any other radical change in the surrounding space. Often abrupt appearance of labels associated with the health problems of the pet, that is why it is better to consult the vet. In that case, if health problems have a pet no, should join in the fight for the lead. Finding the home label, you should not poke the cat's nose and even more so to beat. Creek and even the slightest physical impact pet will perceive aggressively. According to the rules of nature animals are not punished for the label, so the cat doesn't understand human emotions. Then you need to act on animal regulations. It is necessary to demonstrate to the cat that he is not the alpha male of the territory. This cat needs to take by the scruff, higher raise and some times a little wave in his direction with a hand, mimicking feline movements. It is important not hard to beat a cat, but a movement to show that he as a kitten gets from "mom" slap in the face for a misdemeanor. A signal that the cat took the impact, is his posture. Ashamed and scared cat on weight bends the back, squints his eyes and tucks tail to the stomach. 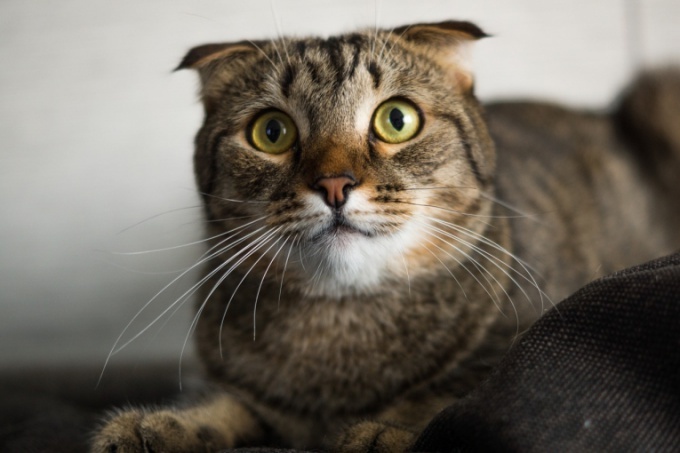 At this point, it can meow and it is important that he not indignantly yelled at the owner – in this case it is the actions of the person perceives the aggressive, and poor little meow. Next, the owner should hiss. It is important to simulate the aggressive cry of the cats and look straight into the eyes of the animal. It should sizzle loudly and repeatedly. To remove a tag you need using cleaning agents, even for the cat's smell in this place left animal secret. Better to do it a few times with large amounts of water. And then, you need to take some its a used thing then it will be not a pity to throw away – home t-shirt, socks, tights or underwear. This thing should be carefully rubbed dry with a place markers and may leave for a while there. So in the place of fixed human odor. Cats feel false, so if the animal does not believe in the seriousness of the leadership intentions of the person, then the efforts turn to ashes. The position of leader should be supported. Should be asked home always as gentle as possible to treat the main alpha male in the house, not to shout and not to swear in his presence. This home play, repeated from time to time, give the cat to understand that this tribe already has an owner.